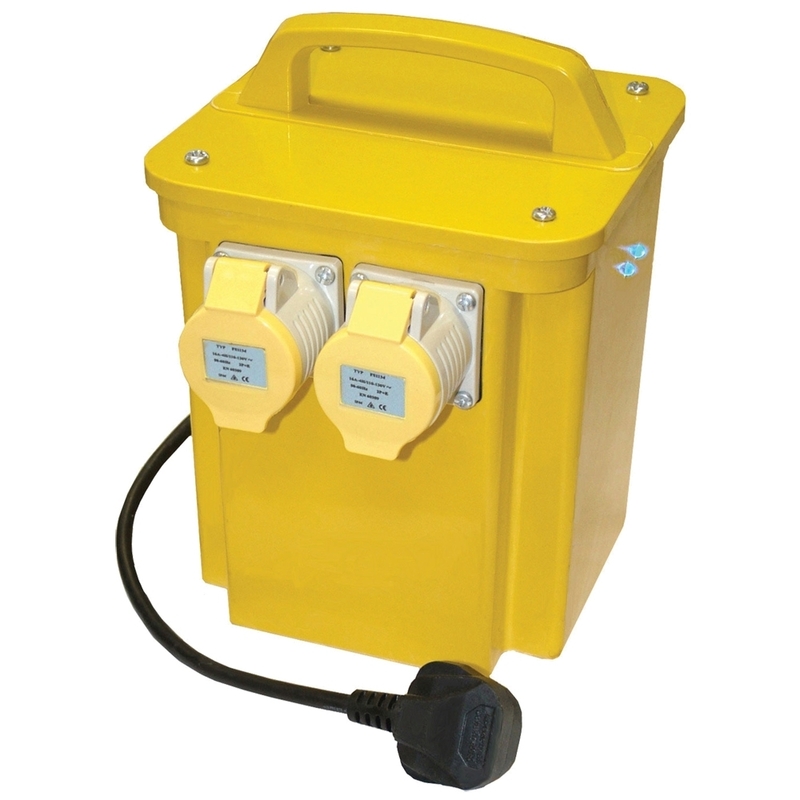 The Tool-Pro Power Plus TRAN33A is a 16 Amp 3.3KVA Twin Outlet transformer, ideal for site use. It has a heavy-duty GRP weatherproof case which is rated to IP44. It has a re-settable thermal overload protection and is fitted with BS approved 13 amp plug. It also includes a unique blue LED Power On indicator, which provides the user with an at a glance confirmation that the unit is live. RING 01204 701000 FOR A PRICE !! The Tool-Pro Power Plus TRAN33A is a 16 Amp 3.3KVA Twin Outlet transformer, ideal for site use. It has a heavy-duty GRP weatherproof case which is rated to IP44. It has a re-settable thermal overload protection and is fitted with BS approved 13 amp plug. It also includes a unique blue LED Power On indicator, which provides the user with an at a glance confirmation that the unit is live. RING 01204 701000 FOR A PRICE ! !